Hey OTBM Readers! Val from The Caldwell Project here again! 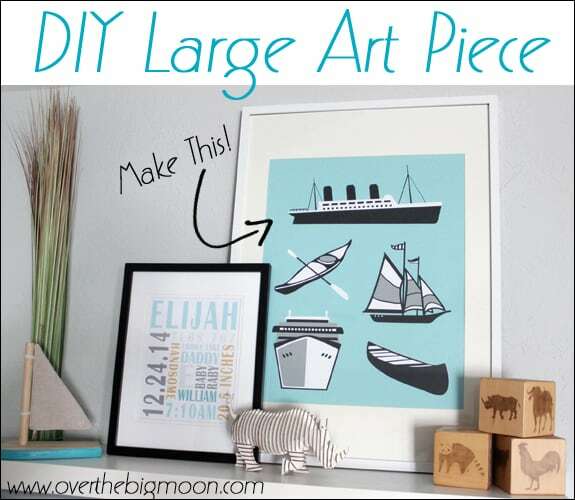 Today I’m gonna share with you how to create a DIY Large Art Piece! 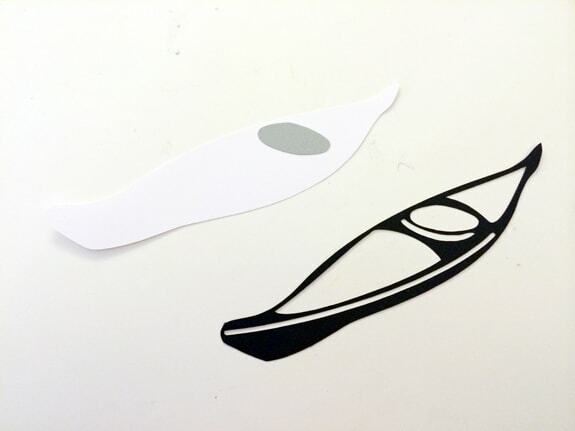 Creating your own piece of large art can make a great impact in a space and if you have any sort of craft paper cutter it couldn’t be easier to accomplish. 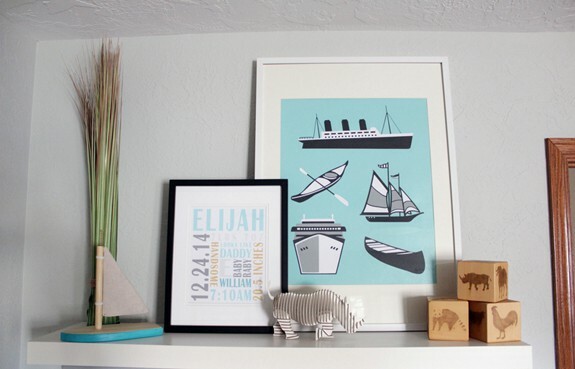 When working on a nursery for a friend that lives on a lake, the husband suggested that a piece of art incorporating boats might be nice. 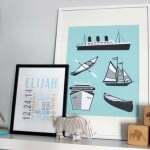 I had seen this print before and loved the style, as did the parents, so I decided to create a print in a similar style for them. First things first, I created a background for my art by spray painting a large piece of white poster board. This was actually something I had never done before (spray painting paper) and was very pleasantly surprised at how well it turned out. 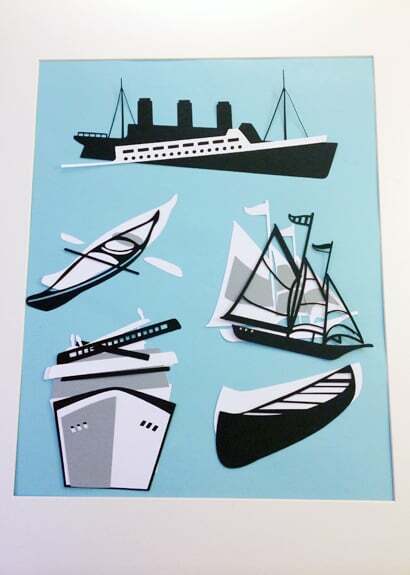 Next, with my trusty Silhouette Cameo I cut out 5 boats found on the Silhouette Online Store. 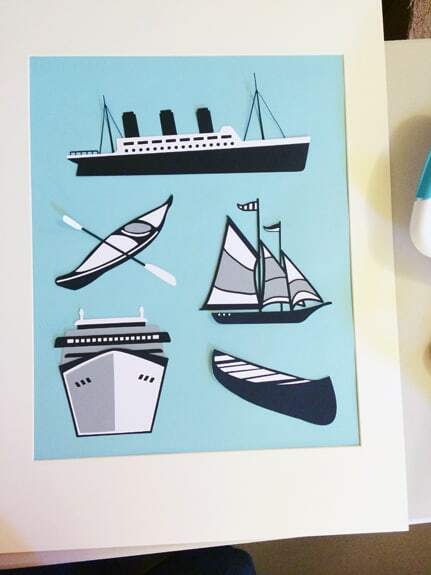 Each boat was cut in layers and on different colored paper. Each boat had 2 or more layers to create a multi dimensional effect. 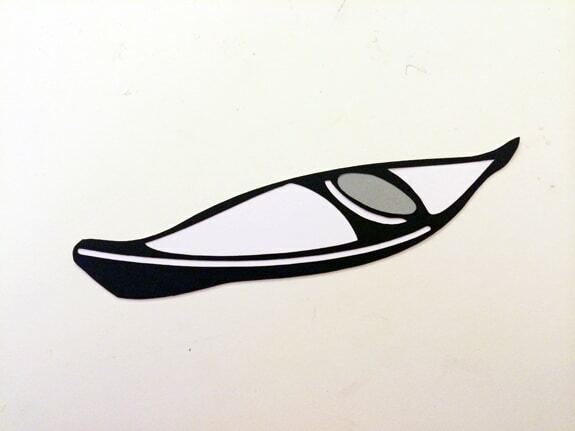 For example, the kayak has a white base, layered with a gray seat, then topped with a black front. That specific boat also has a paddle that goes across it for even more dimension. Once I assembled all my pieces, I laid them out within my mat and decided what placement looked best to me. From there it was as simple as attaching them to my background and putting it in the frame. The large art makes a great impact and can grow with the room for years to come. The frame I used is an Ikea Ribba frame and the dimensions of the print are about 15×19. 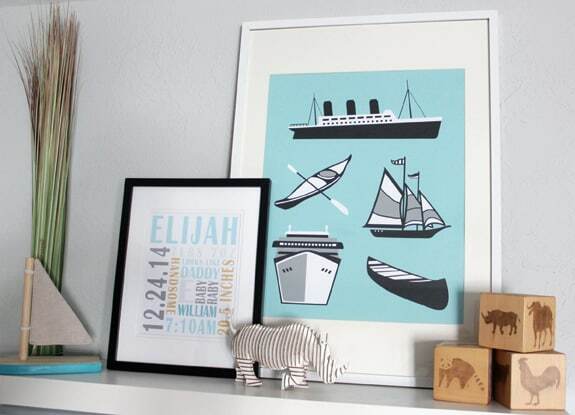 And don’t forge to check out the finished nursery this print was made for. 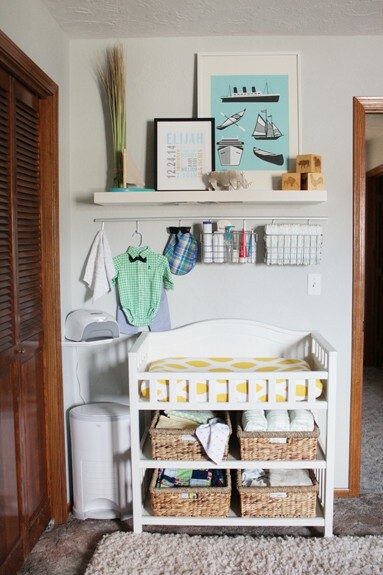 The Caldwell Project began as an outlet to share our home remodel with our friends and family, but as a SAHM I was always finding fun things to make or DIY. With all the things I was building and creating, people would tell me that I should share those, so along with our remodel I started sharing all of my creative projects too! As time went by, our remodel showed me how much I love to design and decorate a space, and it grew into a passion for interior design. I am happiest when I have a room at my fingertips and love to help a friend or family member so I can continue to grow, learn, and share. This is so cute! I love the silhouettes and the colors make it look awesome! Pinning!